WordPress is an ecosystem that consists of over 30,000 most popular plug-ins that users can look for, to improve their site’s search engine optimization (SEO), protect websites from spam attacks, handle comments posted by readers daily, and enhance a site’s design. Known worldwide for being a flexible and easy-to-use interface, today, the platform’s plug-in directory has more than a million downloads worldwide. Some may turn out to be essential, while some you may not require. That is why, after some trials and tests, here is a list of some of the most popular plug-in names that you would want to install for your WordPress site. Downloaded more than 20,000,000 times, there is no room for doubt when Akismet is placed among the list of top 12 most popular WordPress plug-ins. This plug-in is easily available every time you install a WordPress site and you can integrate it to fight back all those comments that turn out to be spammy. Run by the Automattic team, it has almost been 10 years now and the plug-in is still running successfully. So, if you want a good WordPress anti-spam plug-in for your site, then Akismet is the name. If you are in search of a plug-in to help you redirect the existing pages from your old website to a new site, then here is one plug-in that will do the work for you. This WordPress plug-in can help you to manage the 301 redirections, change the WP redirectory, track the 404 errors, redirect a link and solve any issue related to linking. It is easy to use even if you do not know anything about Apache .htaccess files. Search engine crawlers need to be specified which content to index, so that they appear when a browser types in his/her query. With Google’s XML Sitemaps plugin, you can easily generate special XML sitemaps automatically to index your pages. Supported over a period of 9 years, the plug-in is rated to be one of the best WP plug-ins. If you are looking for a WP plug-in that will back up your entire website, including your files and database, then BackUpWordPress is a plug-in you must download. You can back up everything according to your own suitable schedule. It is simple to use and requires no setup. However, you would need PHP version for installing this. With this robust plug-in, you can easily create forms, store as well as display the submitted data, and use it to keep a track of the number of leads your website is generating. In addition, you can also integrate other plug-ins and include additional features like CAPTCHA , email list and CSV export. Now here is one plug-in that helps to increase your site’s visibility in the search engines. With All In One Scheme.org Rich Snippet, you can easily add author pictures, image and star ratings and make your post more interactive. We all know the powerful role rich snippets can play in improving your page ranks and your click through rates. It can even direct Facebook to the right information, whenever someone posts a link to your site. If you are looking for some security then install this Wordfence Security plug-in. This plug-in comes with a list of comprehensive features, which includes scanning of core files, bad URLs, backdoors and malware and blocking of unwanted spam attacks. So, if you want a plug-in to make your site more secured, then install this Wordfence Security plug-in now! It can make your site 50 times more secured and faster. With Image Wall, you can display pictures and use them as links, connecting them to your pages and posts. The images are displayed randomly, on a page that can be scrolled infinitely. We know that images are a great way to grab attention. With this plug-in, you can captivate a viewer and motivate him/her to click on your image, thus leading him/her to its actual source. With this WordPress plug-in, you can set up your own profile picture for your site, by choosing between either the Gravatar or a self hosted image of an avatar, taken straight from the profile screen. The plug-in can be integrated seamlessly with an existing site. You can customize the user permission and determine selected settings such as the default size of your profile image. With this WP plug-in, you can improve your social score by bringing your content under the attention of the right target audience. You can use this plug-in to share posts, pages and other media types. Add a Follow Me Widget and get more followers by linking your site to other social networks. You can integrate multiple social share icons and share content with your followers present in different platforms. The plug-in can operate across different versions namely Firefox, Chrome, Safari and Opera and even works in IE7+. With the NextGEN Galley plug-in, you can easily manage multiple number of galleries, display images in slideshow format or in thumbnail format, and include additional features like size controls, transitions and light box effects. The plug-in has more than 11 million downloads by now and is one of the most popular image gallery plug-ins of all time. The plug-in enables you to customize your advertisement displays, by setting down parameters over formats, such as the image size, color, text ad, specifications such as - rounded corners and determination of the position of your ad block, to be displayed on the website. Turn your ad into a unique and original creation, by using this plug-in. Every day, the WordPress plug-in directory gets constantly updated with new and distinct plug-ins that help to add new features to a website. While the above names in the list are just a few suggested ones to help you out in your search, you can find other useful plug-ins from the directory that would turn out to be more useful for your purpose. This article has been contributed by John Atkins who is working at a reputed WordPress development company for over 20 years now and heads a small team of WordPress plugin developers. He likes to keep himself updated with everything related to WordPress and its directory of plug-ins. You want a top-tier business, right? Of course you do. You want your business to be as much of a success as the next guy's, if not more so. Then you've got to realize that one of the most crucial factors in your success is going to be how effective your communication is. That should be a question you ask yourself every year, if not every six months. And if you're not already using VoIP communications — why aren't you? 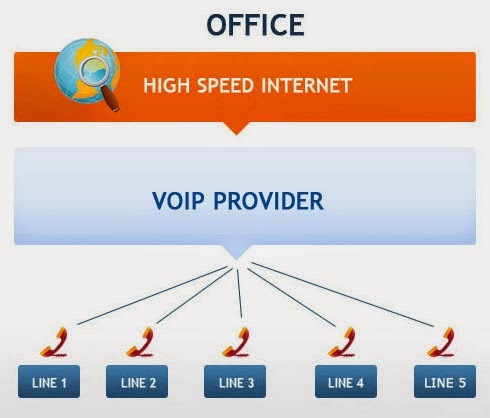 What is VoIP communications, anyway? It's the modern alternative to Plain Old Telephone Service (POTS), or the old copper-wire system. VoIP is a system of communication where your voice is converted into a digital signal which then travels over a Internet Protocol network. Most commonly this means The Internet, which means a person sitting in Palo Alto, California can call Beijing, China, just as easily as they can call right down the block. VoIP communications can save you 70% or more over your Plain Old Telephone Service. VoIP communications offer digital clarity. VoIP provides many more options for managing communications. VoIP is easily expandable as your business grows. VoIP offers low (or no) installation costs, so long as your existing network is robust. VoIP networks are much easier to manage than POTS networks are. Mobility is greatly enhanced with VoIP; it's not nearly as difficult to find workers. Frequently, a VoIP system will offer call routing features that forward unanswered calls to alternate numbers in a user's preferred sequence: "If I'm not at my desk, then ring my cell. If I don't answer that, then call my home phone. If I don't answer that, then route the call to voicemail." Many productivity-boosting advanced features are possible with VoIP systems, such as PC integration, voicemail organization tools, call recording features, and display screens showing a company directory. These are some common ones; others are available. There's nothing magical that you have to have in order to set up your business VoIP phone system. All you need is a high speed Internet connection, plenty of bandwidth, VoIP handsets and some VoIP switches to consolidate their signals. Since your handsets will require a power source, these switches can provide that power, if you opt for the Power Over Ethernet option. The other option for power is to use a wall adapter for each station. Not only that, but when you enter the world of VoIP communications, you also position yourself to take part in the even more exciting arenas of video conferencing and Unified Communications. Be careful, though. Your old POTS service was completely distinct from your data network, and what impacted one had no effect on the other. Not so with VoIP. With VoIP, your voice data is your data network (and vice versa), so be sure your IT department has the resources it needs to take on the task. You'll want to conduct a call volume study before installing VoIP, in order to determine what sorts of additional stress your network will be under. Furthermore, it's advisable to not skimp on bandwidth when getting ready to get going with VoIP; it can get chewed up pretty quickly. These days, when bandwidth is cheap, there's really no reason to be spare about it anyway.